Rachel Fletcher was born in Baltimore, Maryland, in 1947 and was raised there. She began her career in lighting and stage design for the theater with degrees from Hofstra University (B.A. in theater arts), SUNY Albany (M.A. 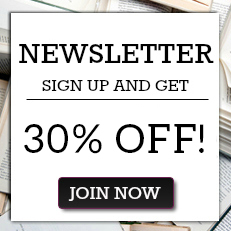 in dramatic literature), and Humboldt State University (M.F.A. in lighting/stage design). She has been a faculty member of the New York School of Interior Design since 1996 and a contributing editor to the Nexus Network Journal since 2005. Her professional work designing theatrical spaces led to an interest in the principles of geometric proportion and harmony as a design system, including time as a geometer and teacher of geometry and proportion for school-age children and adult professionals and at dozens of universities, museums, and institutions in the United States and Europe. In this capacity, she received an International Center for Jefferson Studies Fellowship Award from the Thomas Jefferson Foundation to study geometric proportions in Jefferson's architectural works. Fletcher was the creator/curator of the museum exhibits "Infinite Measure," "Design by Nature," and "Harmony by Design: The Golden Mean" and the author of the latter's exhibit catalog. As a community activist, she is the founding director of the Housatonic River Walk in her home town of Great Barrington, Massachusetts, which was designated a National Recreation Trail by the National Park Service in 2009, and the co-director of the Upper Housatonic Valley African-American Heritage Trail. For her significant contributions to conservation and civic improvements, she has received an Environmental Merit Award from the U.S. Environmental Protection Agency, citations from the Garden Club of America, and the National Urban Hometown River Award in Grassroots Activism from American Rivers, among other honors. "The book will surely be appreciated by those architects and architecture historians interested in the relationship between architecture and mathematics, whose research is devoted to the study of geometrical diagrams and patterns of architecture of the past. We know from the historical literature that architects relied on chosen numbers, proportional ratios and chosen shapes to impart beauty and harmony to their projects, because the mathematicians themselves considered these numbers, ratios and shapes to be beautiful, meaningful and symbolic. Nevertheless architectural treatises hardly give any practical indications on how to manipulate these mathematical objects in order to achieve the fixed goals. The book Infinite Measure unveils many clues to the process of creating a geometrical pattern. The multiple constructions, the number of variations, the creativity, the infinite possibilities, will inspire researchers and, hopefully, designers." "Infinite Measure by Rachel Fletcher is a fascinating book teaching artists how to design in geometric harmony with art, architecture, and nature. The discussion is based on the ancient knowledge that symmetry and proportion are evident in every form of nature and these are relational. The same geometric figures can be found (and are often quite obvious) throughout the history of all art objects, including architecture, pottery, design, paintings, etc. The ratios of dynamic symmetry, which are mathematically expressed, are the basis of the drawing exercises in this book and red bullets indicate each step. The book sound complicated because it dissects and explains almost everything you can think of, but the excellent teaching walks the student through each step until a thorough understanding enables intelligent design in any medium. This book should be a MUST for any art student, and you will feel satisfied when you gain this valuable, timeless understanding, which opens your eyes and mind to all you see everywhere. EXCELLENT!!!" Infinite Measure: Learning to Design in Geometric Harmony with Art, Architecture, and Nature is a 400 page compendium in which geometer and theater designer Rachel Fletcher (New York School of Interior Design), Rachel Fletcher provides visual designers of all disciplines and art forms with geometric methods and techniques for composing spaces and places harmoniously. Organized into two major sections (Geometry's Shapes and Symbols & Composing Space Plans) readers are presented with a wealth of diagrams illustrating geometric design concepts of balance and proportion. 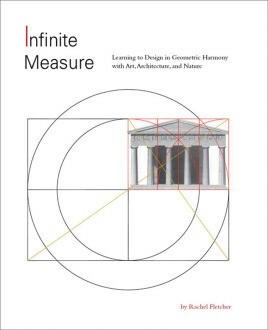 A unique work of impressive scholarship, "Infinite Measure: Learning to Design in Geometric Harmony with Art, Architecture, and Nature" is an important and strongly recommended addition to professional and academic library collections, as well as the supplemental reading lists for art and architecture students. "(A) comprehensive geometrical journey under enlightened guidance. This is an impressive book that presents extensive scholarship in a completely reader-friendly way.. . . Rachel Fletcher's new publication, Infinite Measure, is a wide-ranging book that defines geometry's presence in the natural world, tracks the history and evolution of geometry from before the classical period through to the present day and presents a comprehensive and impressive body of knowledge simultaneously philosophical and practical. It explains the grammar of geometrical construction, from the initial simplicity and unity of the circle, through gradually more complex constructions that lead ultimately to sophisticated geometrical overlays defining proportional relationships in the natural and built environments. The emphasis throughout is on proportion and how the individual elements of a design should relate to one other, and to the whole, in a proportionate and visually harmonious way."